Nuc will look like this WITHOUT the hanging board on the side. A while ago I posted New Swarm Trap Plans. This post was about a set of plans for 4 traps out of ONE – 4 X 8 sheet of plywood. Sometime later a question was posed to me about the plans. In response to further discussion those plans have been renamed as NUC plans. This was written about in Evolution in Swarm Trap Logic back in April. Jason from AllMorgan.com raised concerns that those traps had a total-volume that was SMALLER than the optimum cavity size especially for some of the large swarms here in Eastern and South-Eastern Indiana. Hardy productive colonies could potentially choose larger cavities over the traps due to this aspect of bee biology. My first choice is STILL to use re-purposed old 10-frame deeps for Swarm Traps (10 frame traps). Most things in Beekeeping seem to improve with greater numbers. Individual colonies benefit from greater numbers of bees. 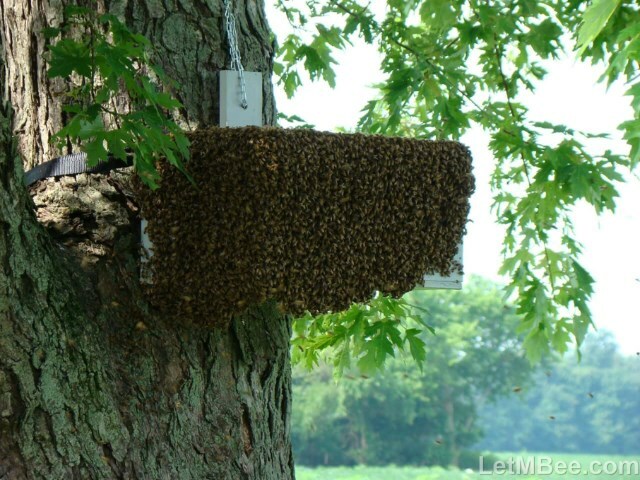 Beekeepers are more resilient with greater number of colonies. I believe just as Jason that it’s BEST to have a trap of sufficient size to attract LARGER swarms. I have access to old deep boxes. It’s only logical that I would prefer to use em’. Others don’t have that luxury. Interestingly enough this year I had more HITS and LARGER SWARMS in Traps 01 through 08 which are the size of 8-frame DEEP Boxes. This preference was shown consistently in 2015 at several trapping sites where both size traps were located in trees not further than 30 feet from one another. This is the first year that this little oddity in behavior has presented itself and I have absolutely no idea what to make of it at this point. It will give me something to ponder for a while. BACK TO NUC BOXES…. I don’t have any right now so I think this winter I’m gonna make some of these to see how they work. The plan is to use them to see if I can get some smaller swarms through the 2016-2017 Winter in them. Here are the files for the nuc box plans. 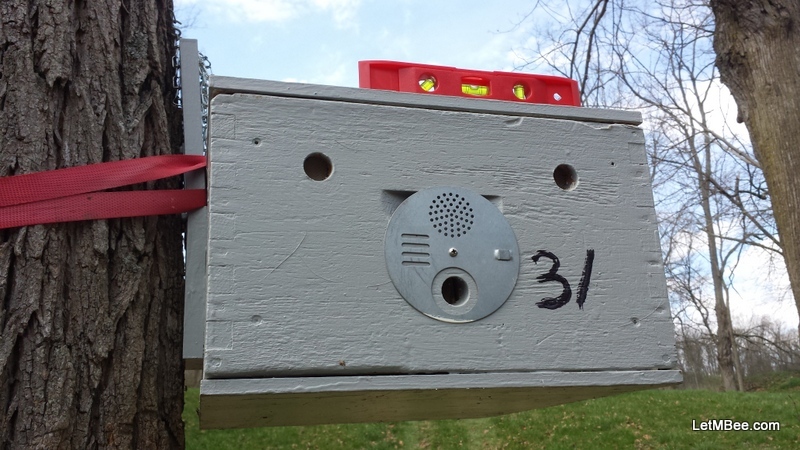 They make FOUR – 5 frame NUC boxes from ONE – 4 x 8 sheet of plywood. They can also be found on the “HOW TO….” Drop-down menu and Page. Send me pictures of them in use and I will try to post em. These have a 1 inch hole in them for bees to come and go. Use either a canning jar lid or Model#279 Metal Disc Entry available from kelleybees.com as a closure. Instructions for both closure methods are discussed in Swarm Trap Plans – 10 Frame Lang Deep. NEW trap plans are on the way and will look like the traps in Evolution in Swarm Trap Logic when completed. Look for them in coming weeks. BIG THANKS to Jeff for making these plans and getting them to me. Are you needing some NUC boxes? What have you used for swarm traps? Is there a cavity size that works best in your area? 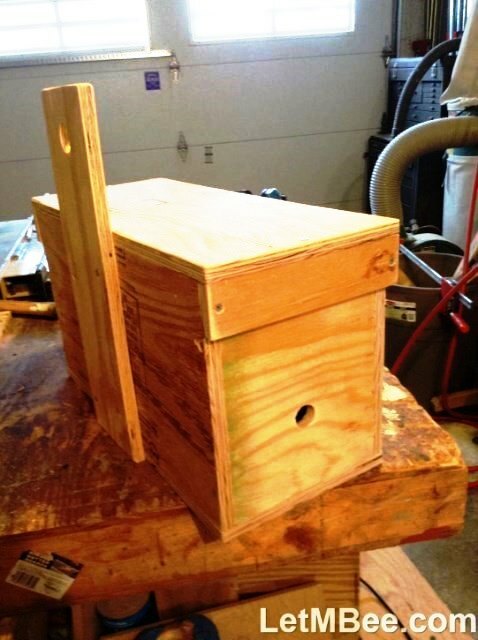 This entry was posted in HowTo, Posts, Swarm Trapping and tagged bee, Indiana Beekeeping, nuc box plans, Swarm Trap Plan. Bookmark the permalink. Thanks to both you and Jeff for all your work on this! Thanks for opening my eyes to the shortcomings of the previous design. If people are going to put effort into their beekeeping they need to get the best bang for their time investment. Thanks man. Did Mike ever get any goetta down your way?